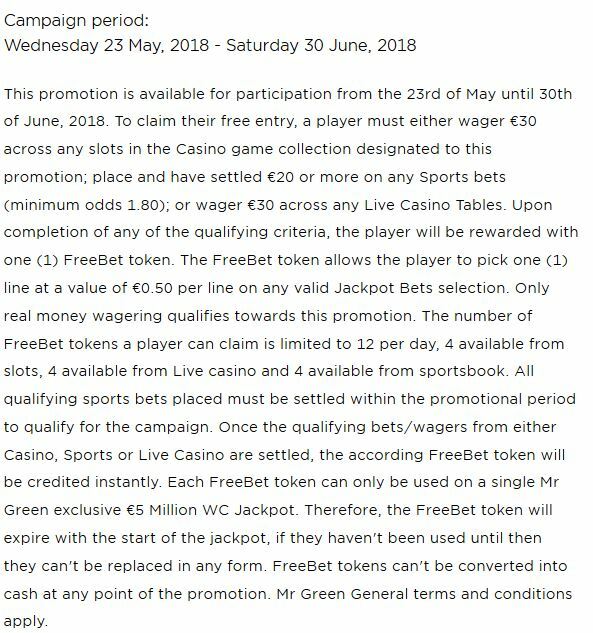 The football Worldcup is almost on the way, and the casinos are preparing a few interesting promotions to celebrate this event with their players. Mr Green is hosting a few fantastic promotions that are definitely worth taking a look at! One of them gives you the chance to win a huge jackpot! 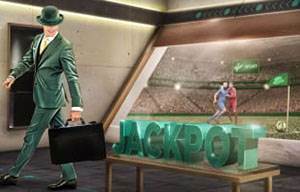 The summer, you can get the fantastic chance to win a World Cup jackpot of €5 Million in cash at Mr Green. There are five jackpots in total! All you have to do is to play at the casino, sports betting or in the live casino, and you will get tokens for the promotion. You can collect a maximum of 12 tokens every day, a maximum of four tokens from each category. Once you have collected tokens you can use those to predict the scores of all the games that are shown in the World Cup jackpot, and if you guessed correctly you will win a jackpot. If it happens that multiple players correctly predict the scores, the jackpot will be shared among them. The terms of the promotion apply. Only real money bets with a minimum of €0,50 are eligible. Full terms available here. The Full Mr Gren bonus terms are available here. Score A Goal at Mr Green's Worldcup Promotion Today! If you haven't met Mr Green yet, now is the time to take a look! This fantastic casino has a great reputation with the players, tons of regular promotions and a superb game selection. All details can be found in our detailed review or the frequently answered questions.